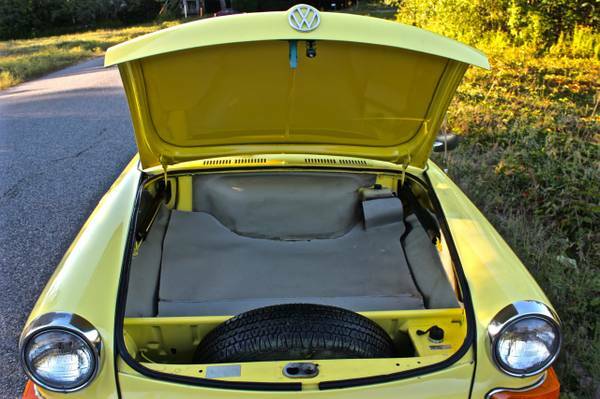 I can't say that I have a lot of love for air cooled VWs. It's probably my age. 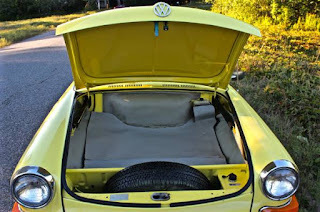 When I first got my license air cooled VWs were everywhere. They were cheap. 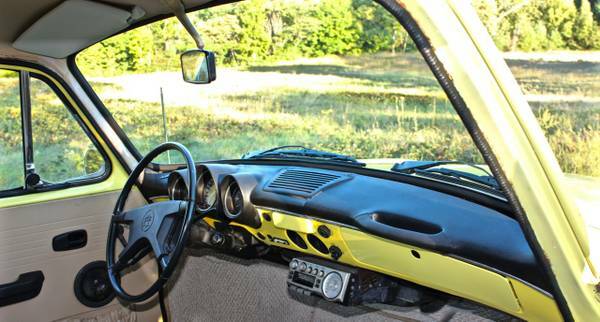 $100.00 got you a Beetle with rusted out running boards and blown out heater boxes. $200.00 got you a Type III or a Karmann Ghia. They had no running boards, but they rusted everywhere else. The heat was no better than that on a Beetle. All stock air cooled VWs were slow. Painfully slow. To be fair, they had their plusses. Besides being cheap, they tended to be fairly reliable. Parts were plentiful and very inexpensive. Repairs were easy. Still, most of my friends only kept their VWs until they could afford something better. Personally, I had a Karmann Ghia. I traded "up" to an Opel GT as soon as I had a little extra cash. Something about this car however, caused a wave of nostalgia to come over me. VW launched the Type 3 cars in 1961. The first was a 2 door coupe. 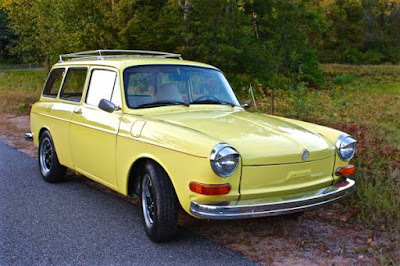 It was a more "upmarket" car than the Beetle, but retained the rear-engine layout VW was known for. 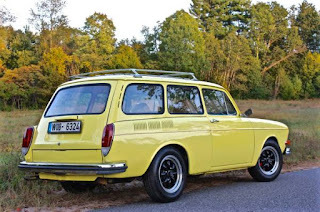 In 1962, VW introduced a station wagon version (known as the Squareback) and in 1963, the Fastback. The Type 3 was the first VW passenger car to feature the "pancake" engine. This car looks to have been very nicely restored. It has some modifications (i.e the wheels and the Webers), but it still looks basically stock. (Not that it matters. Even when new, people modified - or personalized - their VWs. Exhaust mods were common. You could even buy an Alfa Romeo style grill to slap on the front of a Karmann Ghia. J.C. Whitney sold them, I think.) Everything looks to have been done to a nice standard. As much as I have few fond memories of air cooled VWs, if I had the extra cash and space, I'd be tempted by this one. Nostalgia, I guess. Located in Belchertown, MA, click here to see the Craigslist ad.